Today email plays as an important medium of communication in all the field, moreover today everyone uses email facility for their business. And today if you are using an email service for your website then you can easily get connected with the people around you not only that with the help of email you can also do marketing of your products. And in this way, it helps your business to grow. 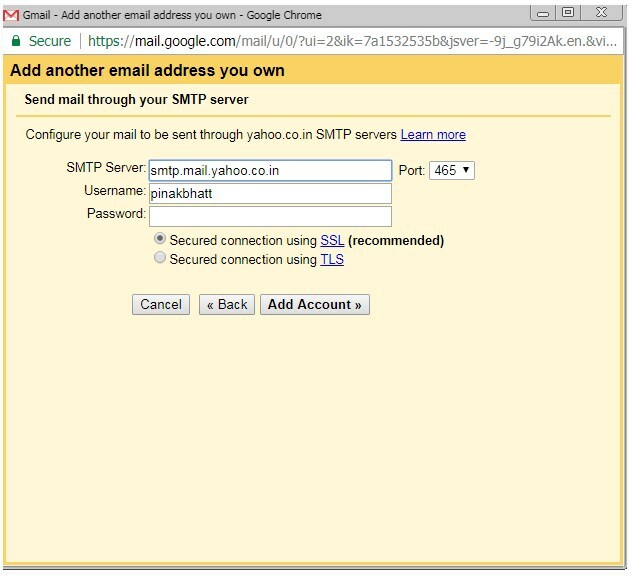 And today if you are using a website and if you want to configure your website email with Gmail account then here is the solution for it. 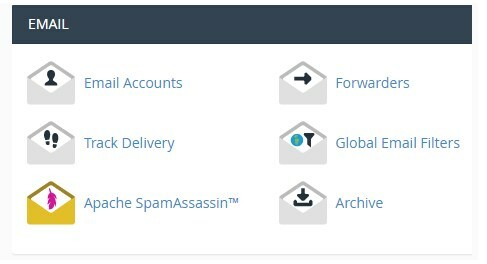 Hence setting up your cpanel mail account in Gmail is worth it.You can easily combine hosted cPanel email address with current Gmail address. Thus you can send/receive emails through Gmail without bothering about hosting company email tools. 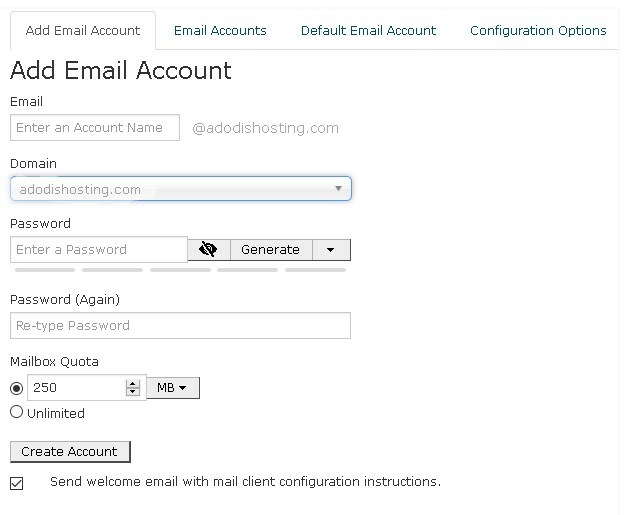 Password and Password (again): Enter the password for the email account, you can also generate the password using the password generator but be sure to copy the password. Make sure to use strong passwords for an email address. Having weak passwords allows hackers to steal information from their accounts. So use a strong password. 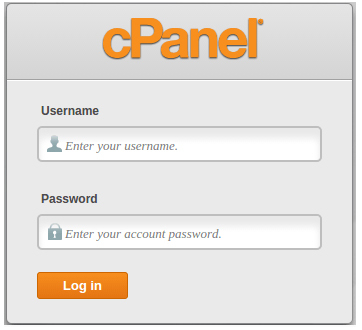 Step 3: After you enter the required details >> click on create the account, your email address will be created successfully. Make sure to use strong passwords for an email address. Having weak passwords allows hackers to steal information from your accounts. So use tough password. Then click on the create button to finish. That’s all you have successfully created a business email address. Step 2: Click the gear icon on to the right side, and click the setting. 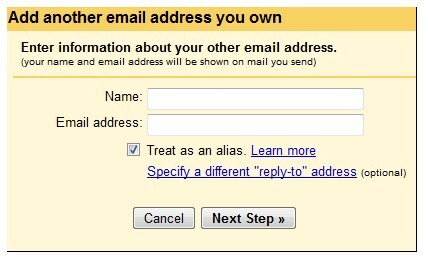 Step 4: In the section, enter your name and email address and click on the next step. After you enter the details >> Click on Add account. 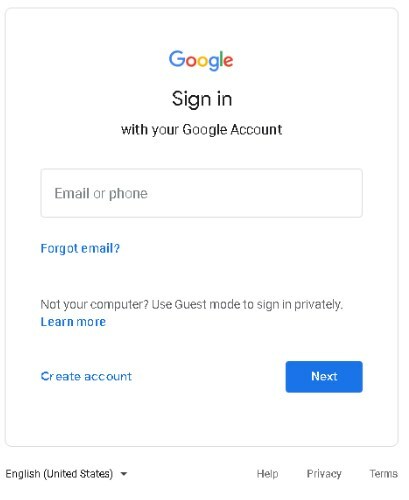 Step 6: You need to verify the your mail ID >> Open your mail account >> you can either click the link in the message Gmail sent or enter the confirmation code in the Accounts section of your Gmail settings. If Gmail sent a verification email and you didn’t receive it, try checking your Spam folder for a message. If you are looking for the best email hosting solution for your website then here at HostingRaja we provide best in class email hosting solution with the latest features at an affordable price. Not only that we also provide 24/7 customer support via phone, ticket system, and email. Get your email hosting solution today from HostingRaja India's #1 hosting provider! !